← Will US Grasp Putin’s Syria Lifeline? Whatever else this Pope may be, or wish to be, he is the CEO of a powerful corporation which for centuries has implacably opposed all forms of human social and political progress. Its public relations department is the envy, and the model, of the modern corporate state. And it has gotten away with it, still possesses a claim to moral authority, because its victims are so unaccustomed to critical thinking. As its founder said, you must be as little children, to enter the Kingdom of Heaven, because children believe everything that trusted authority figures tell them. The traditional Christian motif of the â€œGood Shepherdâ€ is a perfect metaphor for this process: the shepherd does not want his flock to become fully actualized individuals, but rather he seeks to lull them into a state of false security so they can be more easily fleeced, and ultimately, butchered. Did you know ? 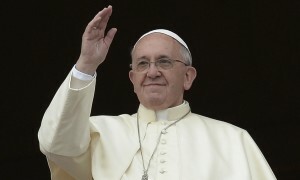 Pope Francis announced he was selling one of his two Harley Davidson motorbikes and hopes to raise Â£12,000 for charity. But it fetched more than Â£200,000 at auction. Here we see a way employ millions of under employed and over indebted college grads. Put them to work assigning multipliers to prices of all products and services so that the free market can function rationally. Call this the sixth of a new seven branch democracy. Subsidies introduce distortions from central plans with unforeseen consequences.